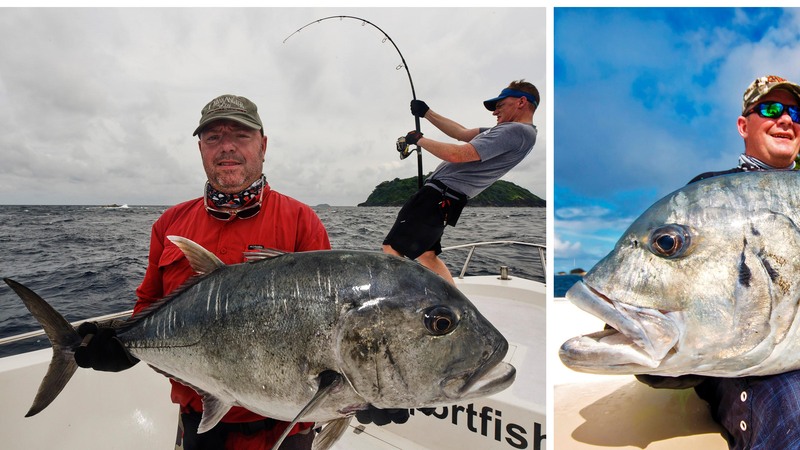 The Andaman Islands can be considered one of the best destinations for dogtooth tuna and GT in the South Eastern part of Asia. It’s ideal geographical location and remoteness from the modern world helps the surrounding marine life to flourish. 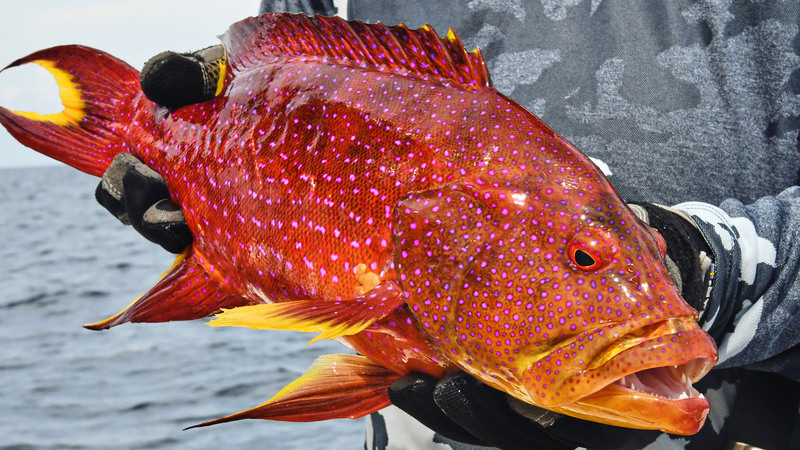 The abundance and sizes of fish species found in this area are attractive to any saltwater fishing enthusiast. 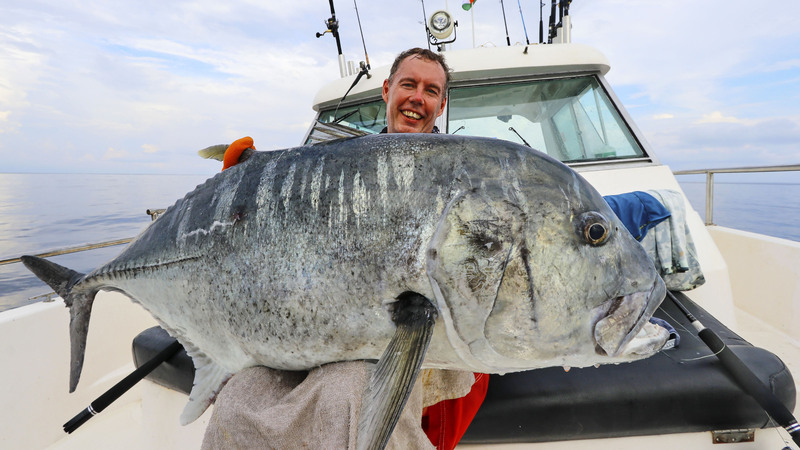 Most predominant target species in these waters is the Giant Trevally; the GTs average a weight of 20 to 35 kg but are often tipping the 45 kg mark. 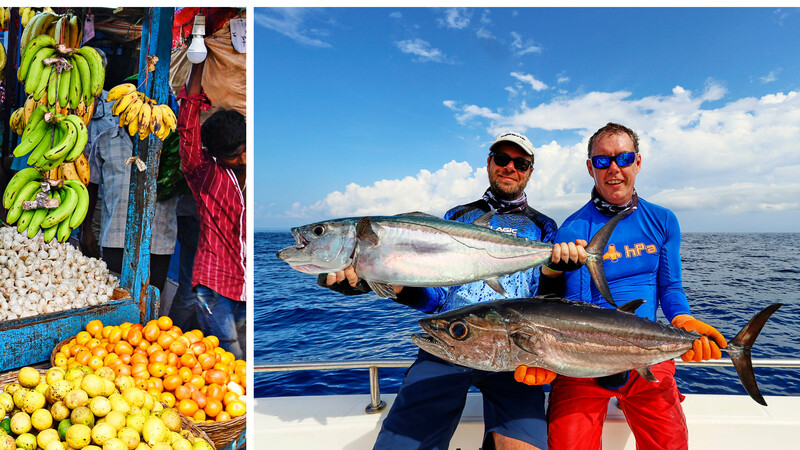 Many other species are caught throughout the season; bluefin trevally, bigeye and pilot trevally, red snappers, groupers, coral trout, napoleon, barracuda, spanish mackerel and not least dogtooth and yellow fin tunas. 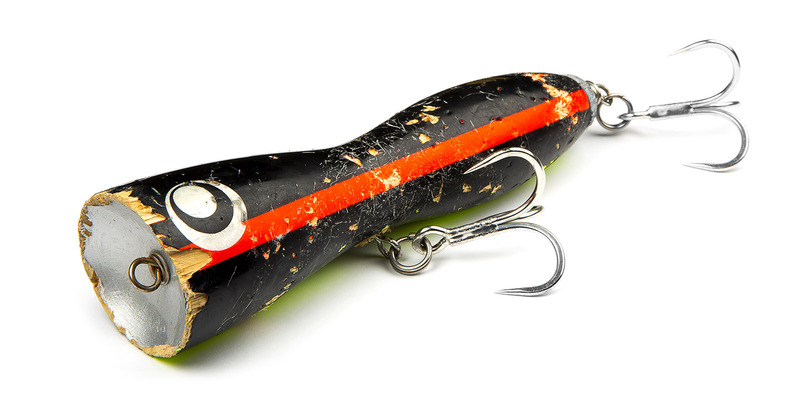 Change between popping and jigging or focus on the method you prefer. There are plenty of options for both. Day 1: Arrival in Port Blair, short transfer to guest house. Day 2-7: Six full days of fishing. Day 8: Transfer to the airport for the flight home. PRICE: From €2550 to €3175 per person for a for a six to eight nights, five to seven days fishing package (longer stays possible). 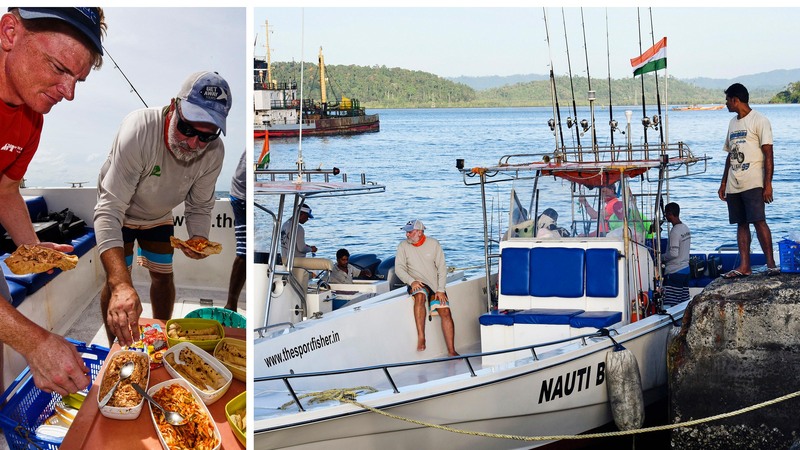 INCLUDED: From five full days of guided fishing (above price based on four anglers on the boat), from six nights at guest house, pick up and return transfers and other applicable transfers, all meals (breakfast and lunch onboard on fishing days), non alcoholic beverages and packaged drinking water. NOT INCLUDED: International flights to Port Blair, sport fishing license (approx. €35 per person/day) and gratuities (approx. $100 per angler). 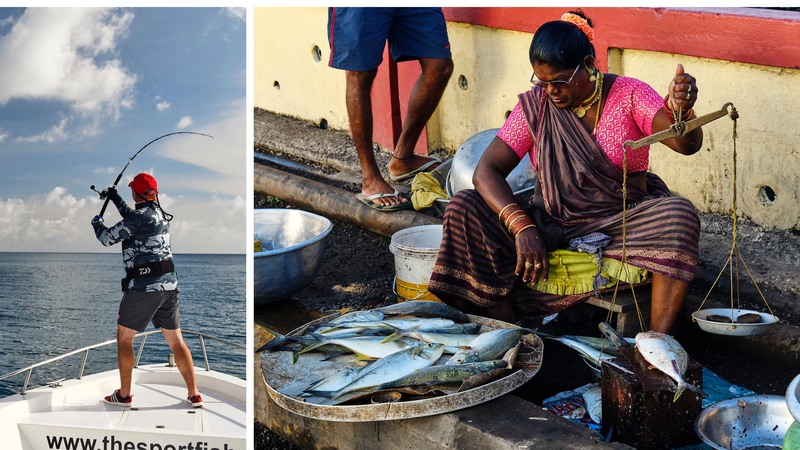 We usually fish between 25 to 35 NM from Port Blair but it is possible to take one or two extra long expeditions during your stay (there will be a smaller fuel surcharge). These reefs don’t see much fishing pressure as the number of sport fishing boats in all of the Andamans is very low – it must be due to the complexity of getting the necessary permits to run these operations since the area has been known amongst poppings anglers and one of the world’s premier hunting grounds for GTs in all sizes, with lots of other surprises thrown in. Both popping and jigging techniques are very effective in these waters. During the early months of the season popping is extremely effective and very productive; hence our trips during the early part of the season will normally be planned for maximum popping and few jigging sessions. As the season progresses our trips are planned mixing both popping and jigging more or less equally. 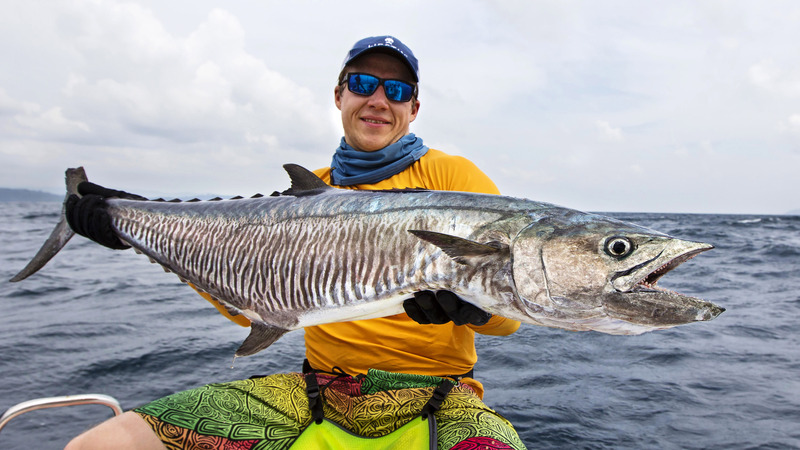 The fish found in Andaman waters are very aggressive, making the perfect match for any saltwater angler who wants to target them on artificial lures: Lots of explosive top water strikes, heavy knee crushing runs while using popping and jigging techniques. With numerous rocky shorelines and shallow and deep water near to shore drop offs, popping alongside rock cliffs of islands have produced substantial hook ups. Landing a monster from these shallow and rocky structures is another matter! 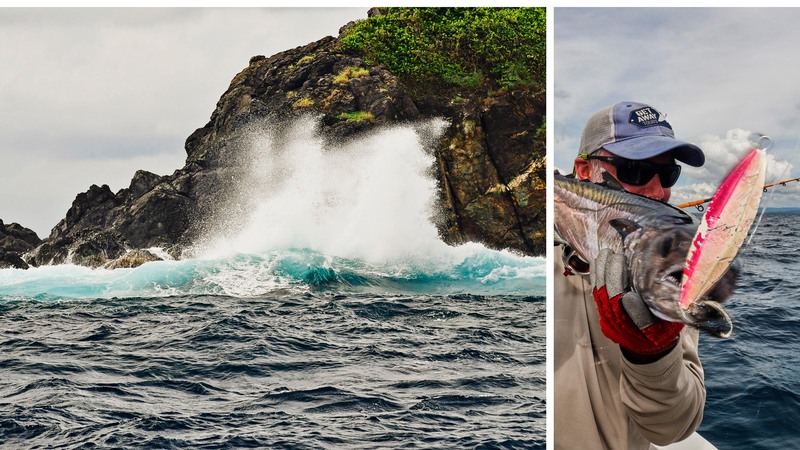 We fish plenty of reefs and underwater pinnacles and structures; there are simply so any different opportunities in these waters. 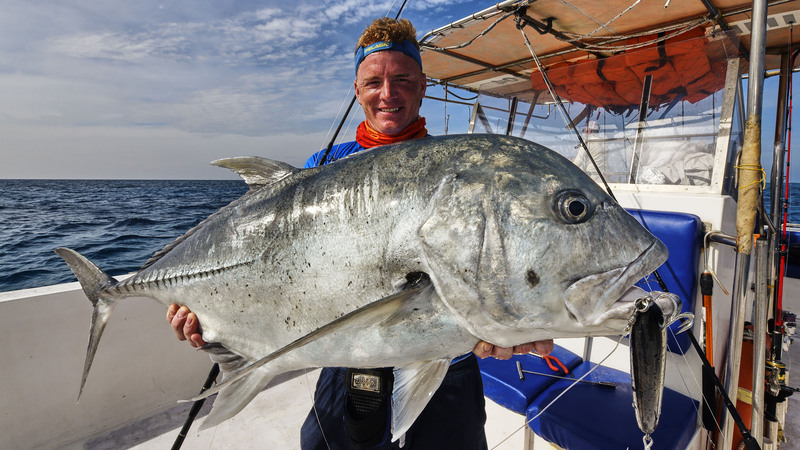 The most predominant target species in these waters is giant trevally (GT); the big specimens with an average weight range of 20 to 35 kg but often tipping 45 kg. School size GTs ranging from 5-15 kg are plenty. 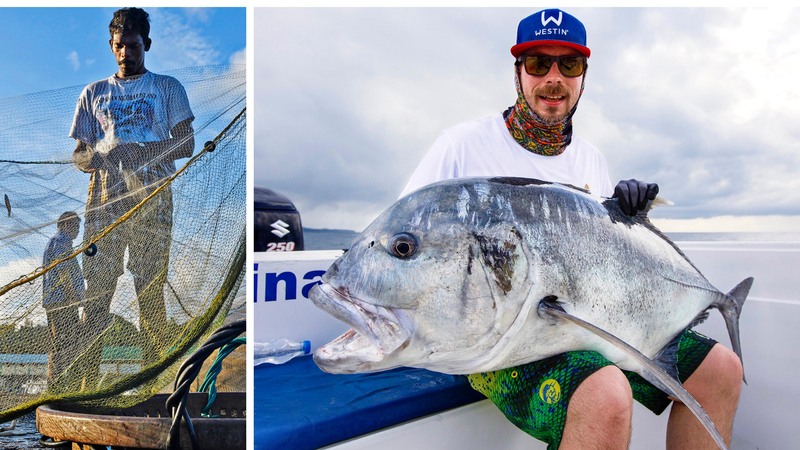 Other sought after species are dogtooth and yellowfin tuna, both are found in decent quantities and sizes ranging from 15-40 kg but often tipping 50-55 kg marks. Yellowfin tunas arrive in Andaman waters during later part of the season (April to May) and they are mainly targeted on poppers. 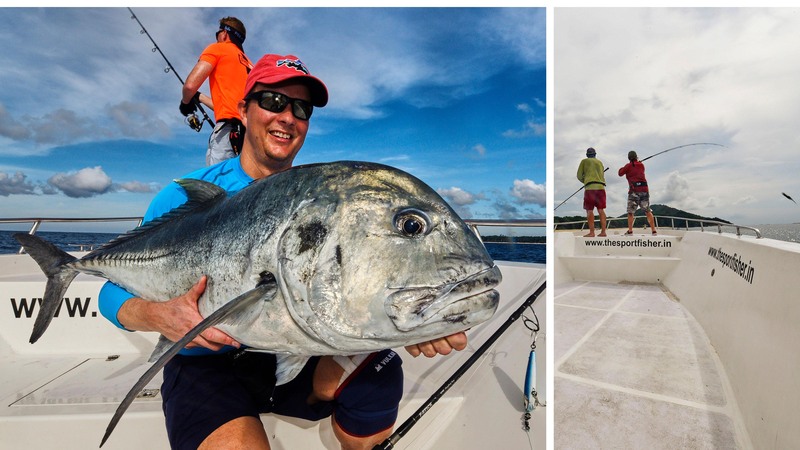 Many other species that are caught throughout the season, including bluefin trevally, bigeye trevally, red snappers, coral trout, barracuda, wahoo, sailfish etc. On jigging, drop offs and reefs have been producing excellent catches on 150 to 300 grams jigs trip after trip. 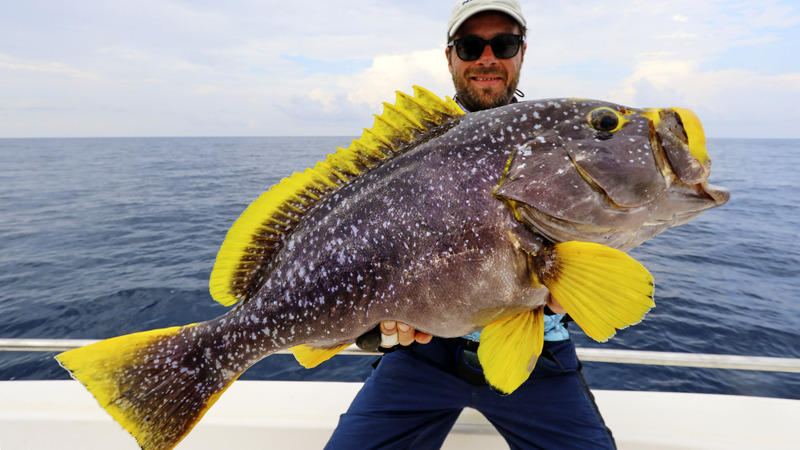 With 200 grams jigs in 40-60 meters jigging spots many monsters has been hooked, but sadly the fish win more battles than fishermen in these spots. Another fishing technique gaining popularity recently is Micro jigging; jigging with ultra-light jigging setups rigged with PE1 to PE2 lines and using jigs up to 40 grams. It can be used all day long and you get to catch and see countless reef species. We are fishing from a custom built 41 feet center console fishing boat, powered by new twin Suzuki 250 HP four stroke outboards. The boat’s cruise speed is 25 knots and top speed above 40 knots. The space and comfort you will get while popping or jigging from this boat is unmatched in the Andaman islands. The boat is equipped with the latest fishing electronics, navigational and communication equipment, safety gears and a fully functional marine toilet. There are different options of accommodation but our standard package includes staying in guest house with a spacious sit out area, separate dining area, fully operational kitchen. The guest house will comfortably accommodate 4-6 guests. Each rooms have air conditioning, attached bathroom and a queen bed. For more luxurious accommodation in Port Blair we can also arrange our guest’s stay at different hotels at additional cost based on prevailing reservation tariff at these hotels and availability. 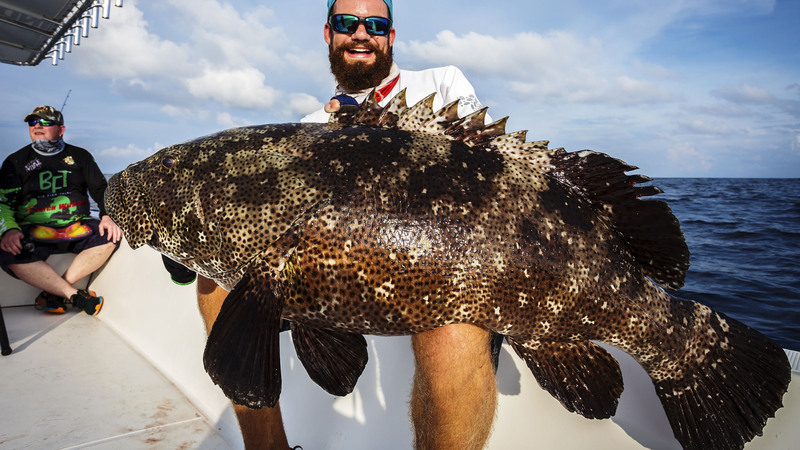 The most favorable fishing season here in Andaman is from October to April, but month of May have always been full of bigger surprises for seasoned GT fishing enthusiasts. 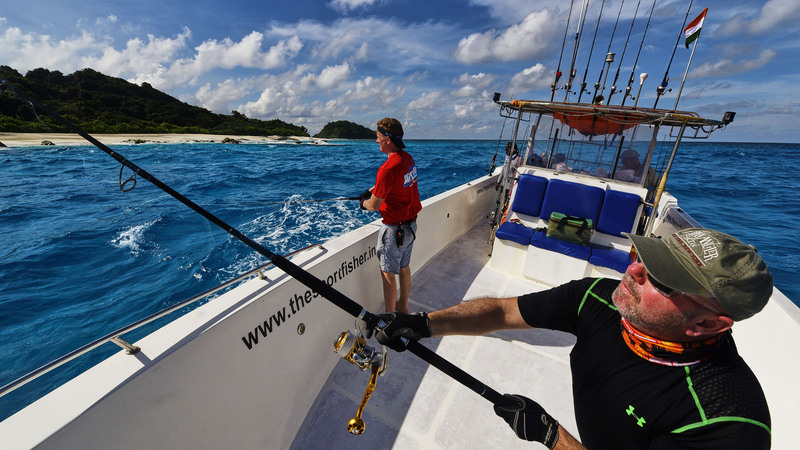 We enjoy tropical climate during our fishing season with temperature ranging from minimum of 23 °C and maximum at 28 °C. Popping rods rated for PE8 and PE10 and should be able to withstand 8 – 14 kg of drag pressure are ideal for our waters. Reels with high gear ratio, high drag rating and decent line capacity for PE8 or 80lb or 100lb line class. We recommend Shimano Stella in 14000 and 18000 sizes or Daiwa Saltiga in 6500 size or equivalent for the job. PE8 and PE10 lines or braided line rated from 80lb to 100lb. Poppers ranging from 120 grams to 200 grams and stick baits ranging from 18cm to 25cms in length in floating and slow sinking models. Jigging rods in spinning or casting models rated for PE4 and 150 grams to 300 grams jigs. Should be able to withstand 8–10 kg of drag pressure. Spinning reels with low gear ratio, smooth drag and excellent line capacity for PE4 or 50lb to 65lb line class. We recommend Shimano Stella in 8000, 10000 and 20000 sizes or Daiwa Saltiga in 5000 size or equivalent for the job. Multiplier reels with low gear ratio, moderate drag rating and excellent line capacity for PE4 line class; two speed multipliers are always a smart selection. Multi strand PE4 jigging lines or Braided line rated for 50lb to 65lb, color marked lines are preferred. Jigs ranging from 150 grams to 200 grams; on few occasions heavier ones might be required so carrying few jigs in range of 250 grams to 300 grams is advisable. Arrive on domestic flight in Port Blair (usually by going through Chennai) where our partners will pick you up and take you to either the guest house or your chosen accommodation. All guests of foreign nationality will need RAP (Restricted Area Permit) for their visit to Andaman Islands, this will be issued at Port Blair airport upon arrival from Immigration.